Motherhood identity crisis: One mum's personal experience. The mid-motherhood identity crisis: What happens when your babies start growing up. It’s no secret that modern day mothers are the jack of all trades. We are the shapeshifters of our families, often wearing many hats just so that all the other members of the clan can not only survive, but be the best versions of themselves. We carry the much talked about mental load of who needs to be where at what time, who eats what, who has projects due, business trips, excursions and so forth. We instinctively change into whatever it is our family needs us to be – nurse, teacher, playmate, taxi, snack fetcher (a somewhat surprisingly time-consuming job). As mothers, we are the pulse of the family. Side note – Mamamia’s Holly Wainwright explanation of why parenting is not just a woman’s job is the best we’ve heard, watch it below. Post continues after video. It starts before our children are even born. Our identity becomes entwined with theirs as they grow bigger inside us – our body changes, our tastes change, we are already morphing into a new version of ourselves. And then when they are born, we are so wrapped up in this new tiny human of ours, it doesn’t matter that we suddenly seem to exist just for them. In fact, we wouldn’t have it any other way. But what happens when there isn’t going to be any more babies? 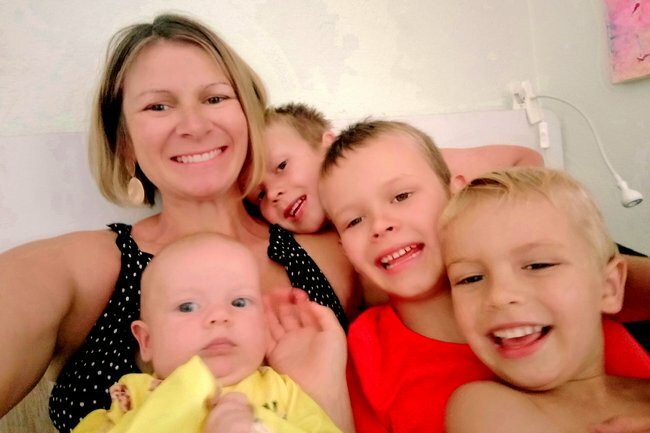 When the last days of maternity leave are taken and the shift from young motherhood into midlife motherhood has occurred without us even realising? It is the stage of motherhood where THIS is our life. The family is complete. Every member is here and this mental load, juggle of calendars and schedules now is the way it’s going to be for the next fifteen-plus years. I will not be growing anymore babies. That ship has sailed thanks to a very handy day surgery my husband partook in. And I find myself at an identity crossroads. "What happens when there are not going to be any more babies? When the last days of maternity leave are taken and the shift from young motherhood into midlife motherhood has occurred without even realising?" Image: Supplied. For so long my life has revolved around getting pregnant, having babies, not getting pregnant, trying again, mulling over how many babies will be had. It has consumed my life, my friends&apos; lives… we have all spent the last decade or so planning out our families and growing them all into existence, but now the baby daze is ending and it’s clear the next phase of life is beginning - but what does that mean for me? Who will I be now? I remember who I used to be; a social butterfly, dedicated career girl, a spontaneous romantic... but like my pre-motherhood fashionably ripped jeans, I can’t imagine squeezing my present self into my old life anymore. That busy career, those late night soirees in sky-high heels... they just don’t fit me anymore. And heck, the very thought of trying to squeeze into those old ripped jeans make me sweat at the very notion... guru pants are so much comfier! The further I slide into mid-motherhood, the more I wonder: outside of being Harry, Finn, Jack and Eve’s mum, who am I? I am hurtling towards forty, with four kids; my job is to breathe love and calm and order into the lives of many and so while it’s true I know with absolute certainty who they are, what they love and what they need to be happy, it has become glaringly obvious that often I can barely find a moment to think about who I want this &apos;new me&apos; to be. This is the mid-motherhood identity crisis. We don’t recognise ourselves. We can’t be who we were before kids, we are no longer in the young mum&apos;s club (the growing number of grey hairs forbids it), but we also don’t quite know what this stage is - it’s the void between the sleepless baby nights and the empty nest where we have to find out who we are again, find out how to be an individual again in our own motherhood but also be someone who the whole family feels they are getting everything they need from. On this episode of Mamamia Out Loud, we discussed how the emotional labour of parenting is leaving women exhausted. Get it in you ears below, post continues after audio. When I look around, I see many of my friends navigating the same mid-mothering identity crisis. Women who before they had kids lived for their careers, but now that they are back into it and trying to juggle it, they realise they just aren’t the same person anymore. The passion isn’t burning so bright. Post-baby days is the time we are supposed to get that pre-baby body back, launch full steam ahead into building our career, but also mother our growing humans and their rapidly expanding worlds with the finite care and attention we are able to give when we are at home. You need to mother like you don’t work and work like you don’t mother - that&apos;s the saying isn’t it? But how is that possible? And after I work and after I mother, what is left of me, for me? This mid-motherhood identity crises can’t often be tended to like those rich extravagant midlife crisis men have in the movies when they purchase motorbikes and fancy cars. No, the mid motherhood identity crisis is all about carving out the smallest pieces of a new self in the stolen moments. Maybe if you’re lucky it’s a trip away with your girlfriends every now and then, a date night - but what I notice most is the physical transformation. You know what I mean, look around the schoolyard. It’s the lopping off all the long locks into a new pixie do, a new colour, the re-embracing of lycra for a pole dancing or konga class, the sipping of a nice Riesling instead of Sav Blanc (because Sav Blanc is so 2010!). "The family is complete. Every member is here and this mental load, juggle of calendars and schedules now is the way it’s going to be for the next fifteen plus years." Image: Supplied. As busy mums, we might be struggling with the big things like how to work in a fulfilling job that is also family friendly. "Am I doing a good job and raising good humans? Is there a better way to juggle all the balls I am juggling?" you&apos;re probably asking yourself. But often it’s just the small things we really need to make us feel like we are still there. And while the new hairdo might not scream "I’m a new person!” it is often all we can manage to pay heed to how we’ve evolved and who we might be in this next stage of motherhood and life. We are more than the lunch maker and washing folder, more than the worker who has to leave all the time for her sick kids. We are like caterpillars on a long journey, and at the moment we are in chrysalis - not sure who we will be when we fully emerge - but hopeful that over time (with pixie &apos;dos, reclaimed sexiness from pole dancing classes and a few glasses of Riesling) we will emerge from this identity crisis and not be old grey moths like we are petrified of, but be beautiful butterflies. And we will wonder what we were ever worried about. We still exist, we’ve just been in hiding for a bit and maybe, no, definitely we are going to be better than before. In the meantime, while I wait out my mid-motherhood identity crisis, you will find me furiously googling how to become a yoga instructor and pondering whether a pixie ‘do and nose piercing will suit the new me… when I finish emerging. 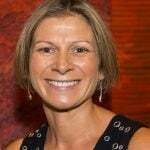 Renee McBryde is a writer, social worker and mother of four living in Alice Springs. 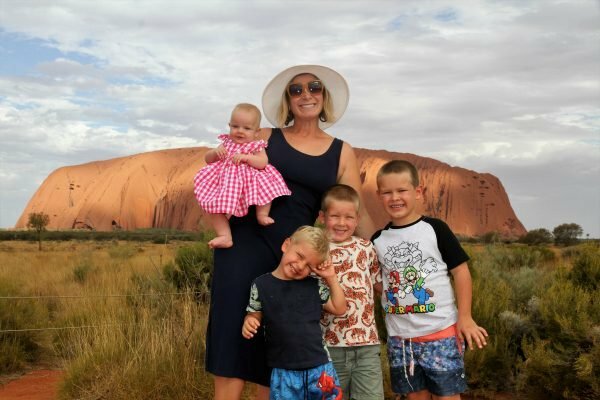 Renee loves to write about the highs, lows and laughs in life, both in blog and book format and is currently working on her second book, while she wrangles her crazy, beautiful tribe through the chaos that is life entwined with motherhood. Have you experienced a mid-motherhood identity crisis? Or are you experiencing one now? Tell us about it in the comments.